I started off my work today with a bunch of research into Oetiker clamps. 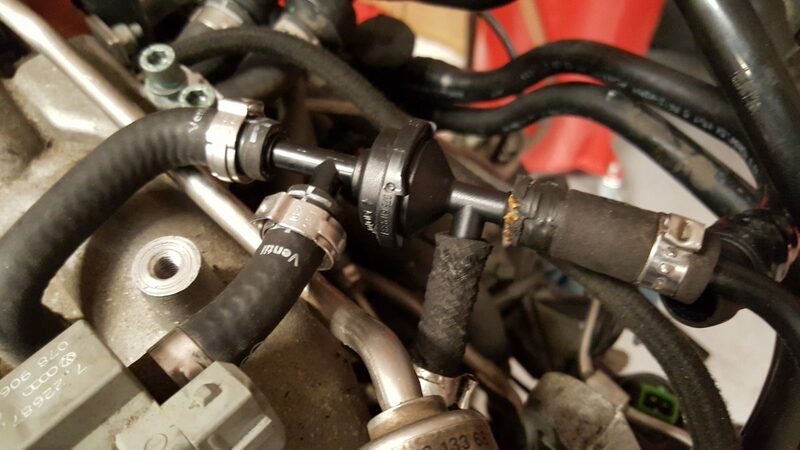 These clamps are the special, single use clamps which Audi (and other manufacturers) use all over the engine, especially on high pressure systems like fuel lines. 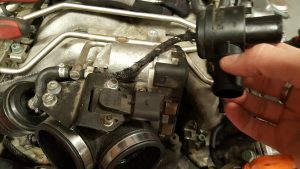 There are a number of hoses I need to replace as well as hoses I had to break the old clamp to remove from the car. 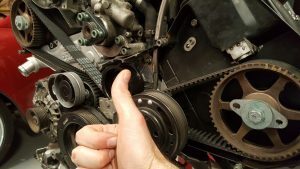 I spent about 15 minutes going through the engine compartment taking stock of the sizes I’d need… and then two to three times that amount of time online trying to find the most economical way to order multiple sizes in less than lots of 100. After spending too much time shopping for parts, I dry-fit the turbos to the engine. I wanted to make sure they were lined up correctly on the exhaust manifolds and that I had all the right parts to put them together correctly. 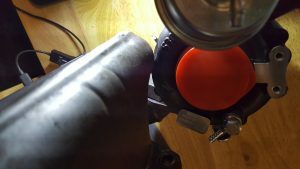 The turbos from XSPower came with a great supply of needed gaskets and crush washers, but I found the stock banjo bolts were too short to get the thread to catch with new washers from XS. Looks like I’m going to need to do some research (do I need new, longer bolts, different washers or do I flatten the new ones a bit?). Today I spent a few hours playing with my new parts. 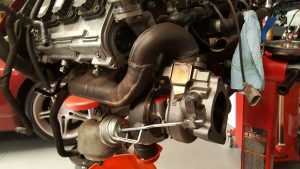 I took the driver’s side turbo off, separated it from the exhaust manifold and I bolted the new passenger side turbo up to the passenger exhaust manifold. 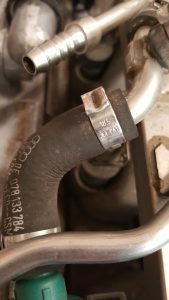 One thing I am a bit curious about, the turbo has a divot that looks to be intended for exhaust manifold clearance. 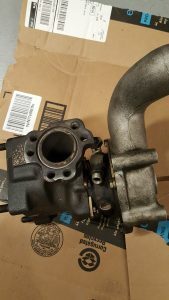 The turbo housing appears, however, to be a few degrees off and is making contact with the manifold. I will need to recheck this once it’s on the car to make sure the turbo is clocked correctly. 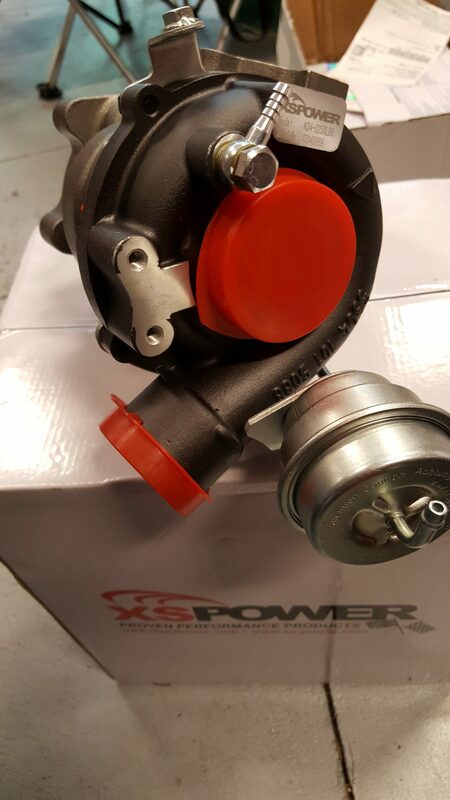 New parts arrived today from XSPower. Time to start putting some shiny new parts onto my old engine. Today was a short day, spent mainly taking stock of the next set of parts I would need. 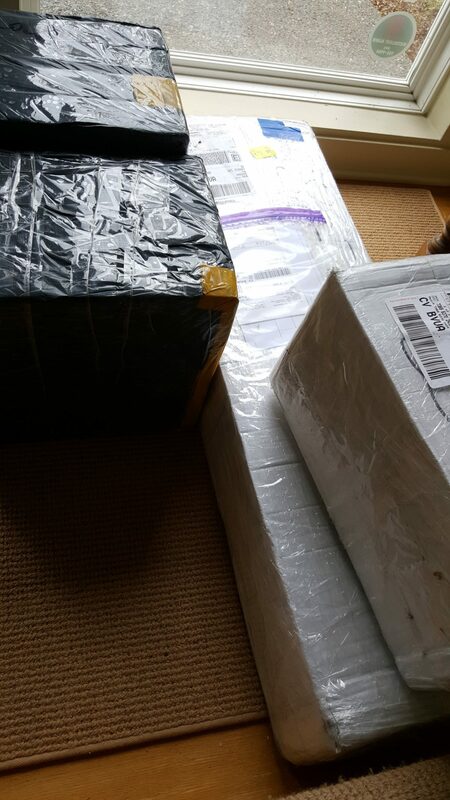 I spent about an hour picking through the parts and ordering replacements.